As to Agudath Israels sudden seeming nationalism, the movement, of course, remains true to the ideals it has always championed. Unlike those who, whether on religious or nationalistic grounds, reject the very idea of territorial compromise, the concept of land for peace at least when there is a trustworthy peace-partner remains one that most of our Gedolim accept in principle. None of us haredi Jews deny, chas visholom, the holiness of any part of Eretz Yisroel. But we know that the true, complete (territorially as well as spiritually) Jewish State will arrive only when Moshiach does, and that the Bayis Shlishi will be built by the hand of not man but G-d. Thus, the passive form in our prayer: May it be Your will that the Beis HaMikdosh be [re]built. Theoretically and here Agudath Israel may part company with some other Orthodox groups we could even countenance a non-Jewish flag flying over the citys walls, if it meant true safety, security and freedom of worship for Eretz Yisroels Jewish residents. Needless to say, though, such a scenario is nowhere in sight. And that is why, at our recent 85th national convention, Agudath Israel passed a resolution that the organization, under the direction of its rabbinic leadership, should communicate to appropriate government officials the organizations strong belief that & Israel should not relinquish parts of Jerusalem to Palestinian sovereignty, and the American government should not pressure the Israeli government into doing so. If this is only a safety issue, then why are Orthodox Jews the only ones who care about safety? Furthermore, the safest course would be for Jews to leave Eretz Yisroel and avoid the entire issue, but we don't see Agudah encouraging its followers to do that. On the contrary, as Rabbi Shafran himself writes in the same article, "Whether or not we live in Israel, we visit there whenever we can, and inject millions of dollars into the Israel economy through charity, tourism and investment. Many of our children and grandchildren spend a year or several studying there. Some of them, along with many other of our relatives and friends, choose to live there. What is more, many of us hold tight to dreams of one day living there ourselves. The security of Israels cities, and the accessibility and protection of the Holy Lands holy places, directly affect our lives." Clearly Zionist ideology is driving Rabbi Shafran (and Agudah) and safety is only a cover-up. Even if safety were Rabbi Shafran's only agenda, how can that justify rebellion against G-d and uprooting major principles of our faith? 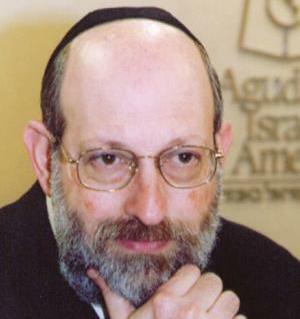 Would Rabbi Shafran have encouraged the Spanish Jews to convert because of "safety"? Would he have suggested that all Jews under the Soviet Union stay put and give up all Torah observance because of safety? Jews are famous in history for their willingness to give their lives when a principle of the Torah is at stake. Here too, to rule Eretz Yisroel during exile is a major departure from the principles of Jewish faith and "safety" is no excuse. Other safe solutions must be sought such as getting as many Jews as possible out of the Zionist war zone.